Essential oils are useful as a preservative in liquid soap, healing and nourishing the skin, freshening the air, pleasing the senses and more. And while they add a special touch as well as added benefit to your chemical free routine, using them is not an absolute necessity. If it’s not your thing, no worries. But, if you’d like to include essential oils in your newly “Lightened Up” routine, be sure to always choose the highest quality oils to ensure purity and potency. You’ll benefit more from every drop of a high quality oil. Lesser oils can actually be toxic. I prefer Young Living oils. CAUTION: Essential Oils can be harmful to people with Multiple Chemical Sensitivities. Please use caution and discuss your use of essential oils with anyone you know who is sensitive to fragrance. 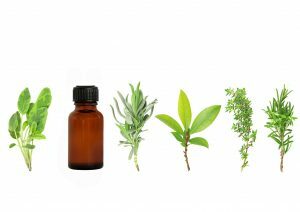 High quality essential oils are much different from synthetic fragrances, but they still pack quite a scent! I have chosen to link Young Living oils to LightenUp because these are the oils that have benefited my family for years. For those of you who are just learning about the safe use of essential oils, I wanted to share the highest quality oils that I know of to simplify your experience. It can be too easy to get sucked down the rabbit hole of cheaper, unsafe oils – please don’t go that route! I use Young Living oils for specific purposes and try not to go overboard. For the best pricing (24% off) and to order directly from Young Living essential oils, click HERE. After you indicate that you’d like to become a member, you will choose a starter kit. The link provided will enroll you as a member of my team. You may choose to opt out of this. I recommend the Premium Starter Kit if you would like a diffuser. Or choose the Basic Starter Kit, without a diffuser. I don’t generally recommend a whole room diffuser. If you prefer, I can also assist you directly with Young Living purchases. Just use the contact page to connect with me, using “Essential Oils” in the subject line. Essential Oils are concentrated and powerful. A little goes a long way. Remember to start with 1-3 drops and test it out. Except for Lavender and Tea Tree (Melaleuca), all oils should always be used diluted in oil, soap or a cleaning solution. Dr. Axe’s Essential Oils Guide is a great place to start learning more. If you have questions about essential oils, please don’t hesitate to ask, via the contact page. I’m happy to share my experience. 1-5 drops lavender oil in Organic Jojoba Oil for facial moisturizer. Decadent and Soothing! 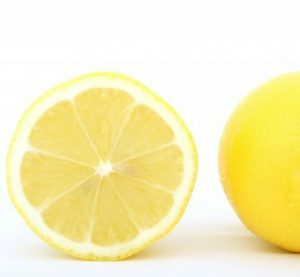 3 drops lemon oil in Castile Soap, to help the soap stay fresh longer.